Established in the year 2003, we, “Classic Marketing”, are engaged in trading, supplying, wholesaling Adhesive and Tapes. We have maintained strong relations with the most trusted vendors of the industry. 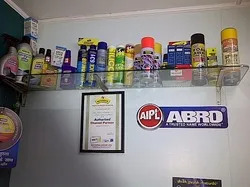 The product range which is driving our company growth consists of some heavy duty bonding agents including Epoxy Resin Adhesives, Anaerobic Adhesive, and Cyanoacrylate Adhesives. They manufacture these products using high-grade raw material and technically advanced machines. These products are used in textile, engineering, steel & forest and many more industries. Backed by a spacious warehousing unit, we are able to store the products in bulk quantity. Its the connectivity with all the major roads and highways enable us to timely deliver the consignments at clients' specified destination. To execute all the business activities, we have employed a team of adroit professionals. These professionals are highly experienced and have in-depth knowledge of their respective domains. Owing to our timely delivery and quality-approved products, we have been able to muster a huge client-base across the country. 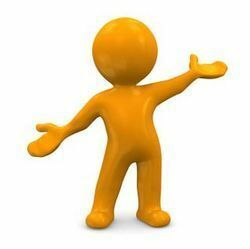 We accept payment via Cash, Cheque, DD And RTGS/ NEFT for the assistance of our clients. We trade under the brand name of RESINOVA, BONDTITE, AIPL ABRO, TW CHEMIN, PIDILITE, SPEB-7. Under the visionary guidance of our owner, 'Mr. Rahul Maheshwari', we have scaled new heights of success. His domain expertise, sharp business acumen and charismatic leadership quality have enabled us to carve a niche in this competitive market. In 1990, the Shop has had the distinction of being the 1st Shop in the area to get the Dealership of Asian Paints India Ltd. In 1998, we were awarded the dealership for Berger Paints India Ltd., which was again the 1st for the area. In 2000, Berger Paints Ltd again awarded us with the Berger Color Bank Exclusive Dealership. This was a unique concept for the area, which was well received by the Public. In 2003, we were awarded the Distributorship for Resinova Chemie Ltd. In name of Classic Marketing where it was born. Now since Classic Marketing with its 13 yrs of valuable experience is expanding like to anything. The company due to its good Relationship and great amount of Trust with the public, has resulted in generating a tremendous amount of Goodwill with the general public. Mr.Nagendra.V.Maheshwari. founded Sharda Hardware Stores on 10th April 1974. 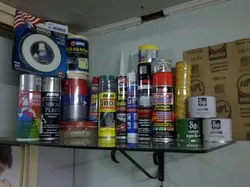 The store is basically in the business of Hardware, Paints and Electrical components. The Shop has been catering to the needs of both Industrial as well as Residential requirements for the last 44 years. 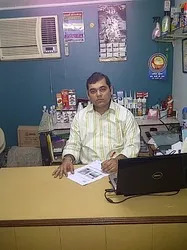 In 2003 Classic Marketing was incorp with aim of wholesale trading and for Distribution business. As a result of a successful expansion in our current business we are now looking into further expanding our portfolio. 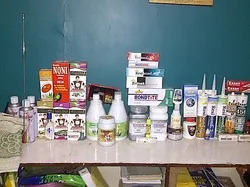 Hence we have interest in acquiring distributorship of companies such as that of repute and gladly do business with such organization. Our Total Purchases, only is 10% - 15% is on credit for a maximum period of 1 month. Sales are primary on cash payment. The Turnover of the company along with its sister company’s 2-3 cores with a consistent growth of 20% per annum. But after the distributorship our revenues have increased.